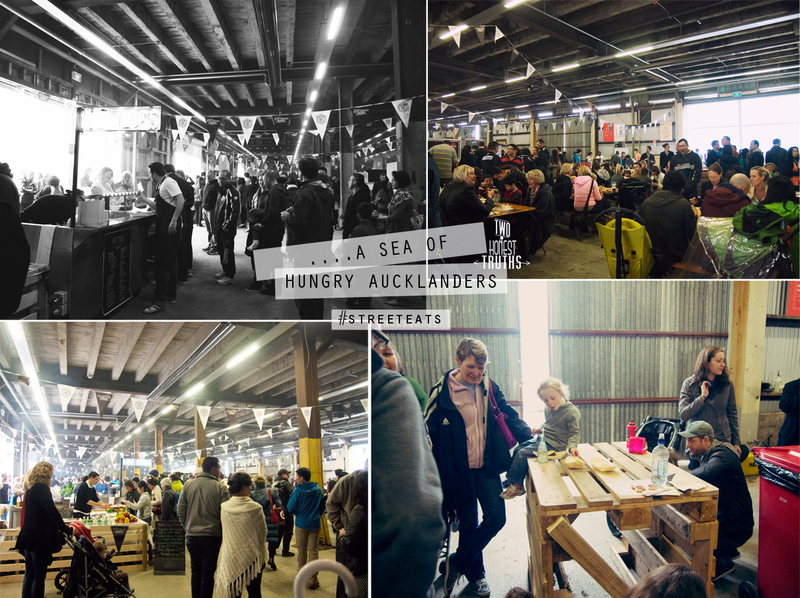 There’s no stopping hungry Aucklanders even on a rainy day. 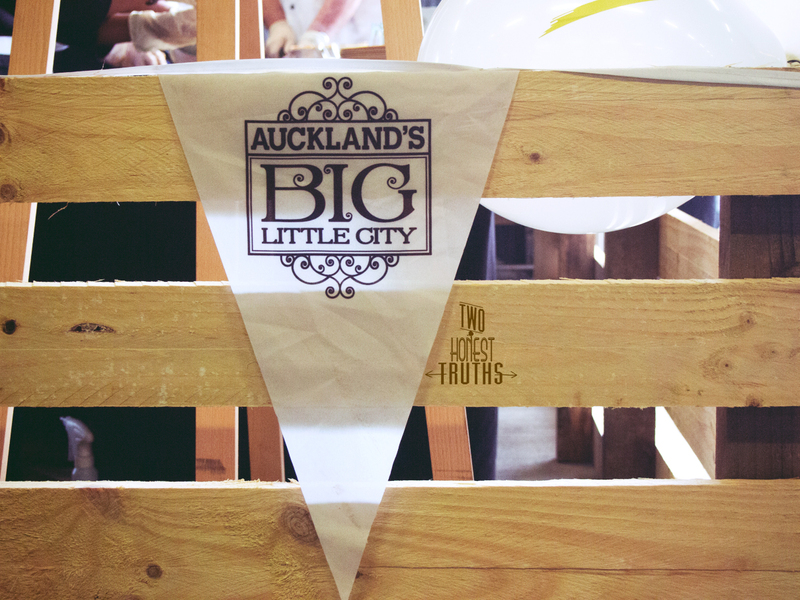 Yesterday we ventured down to Shed 10 for Big Little City’s Street Eats event as part of Restaurant Month. 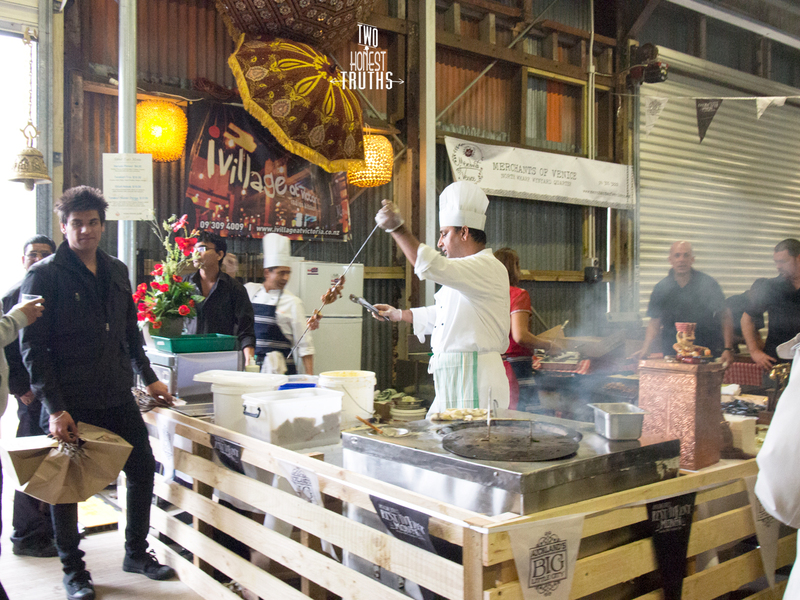 Chefs from coveted restaurants around the CBD left their kitchens and served up their form of street food at affordable prices. 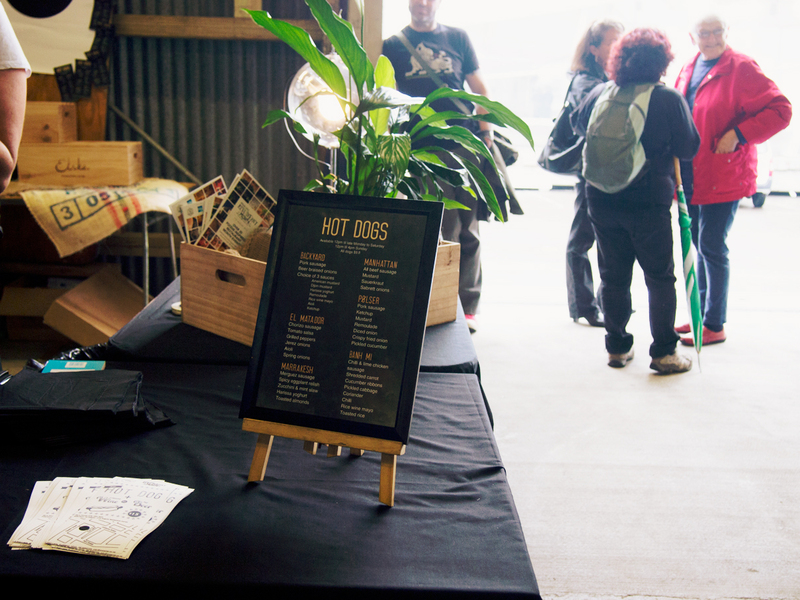 We arrived at about noon and already the shed was super crowded. It was smoky from all the grills and stoves as most of the food was cooked fresh right there and then. 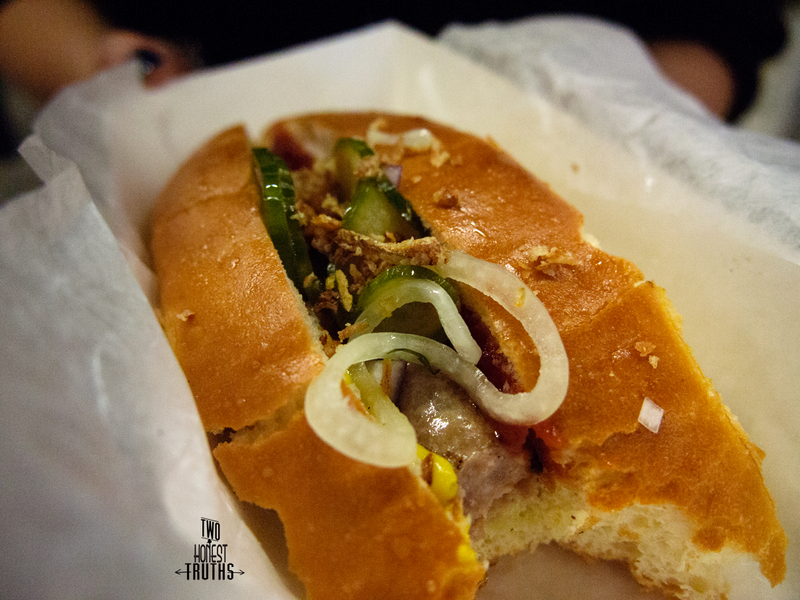 First stop: Imperial Lane hotdogs ($9) – Incredibly soft bun, flavourful and delicious. We loved the dry fried onions that came with it. I was obviously way too keen and ate a large mouthful before remembering to take a photo. This was one of our favourites from the day. 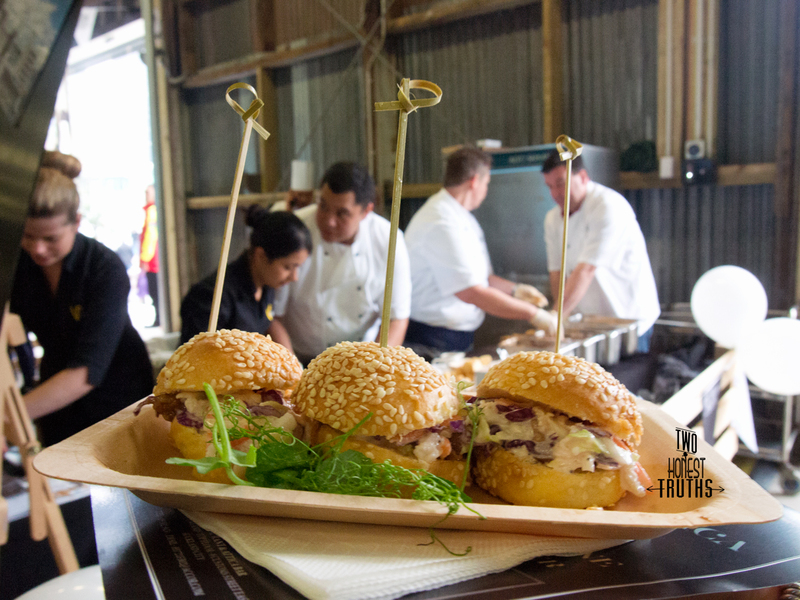 Very interesting Shaky Isles stall… Second stop: Vue Pork, Duck and Lamb Sliders ($7) – Enjoyable and cute sliders but the fillings were relatively the same for all three except the meat itself. 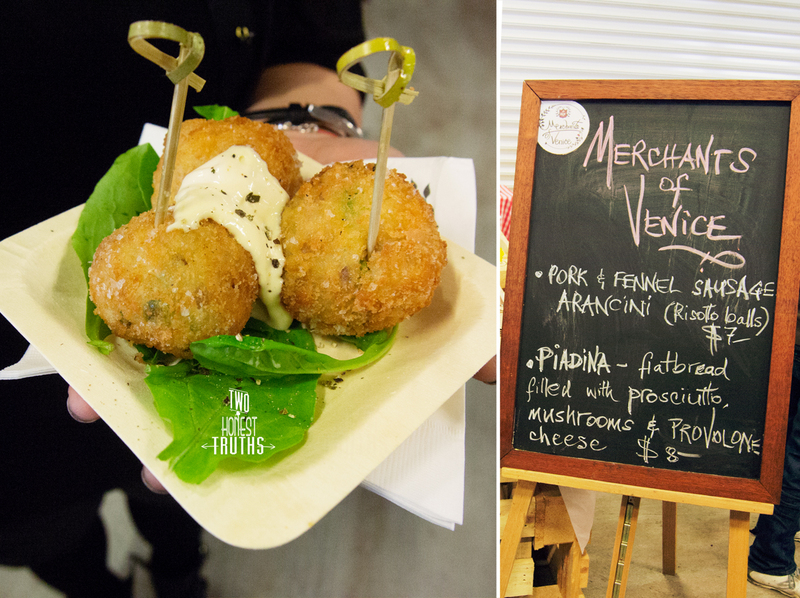 Third Stop: Merchants of Venice Risotto Balls ($7) – Crunchy exterior paired well with tangy sauce. 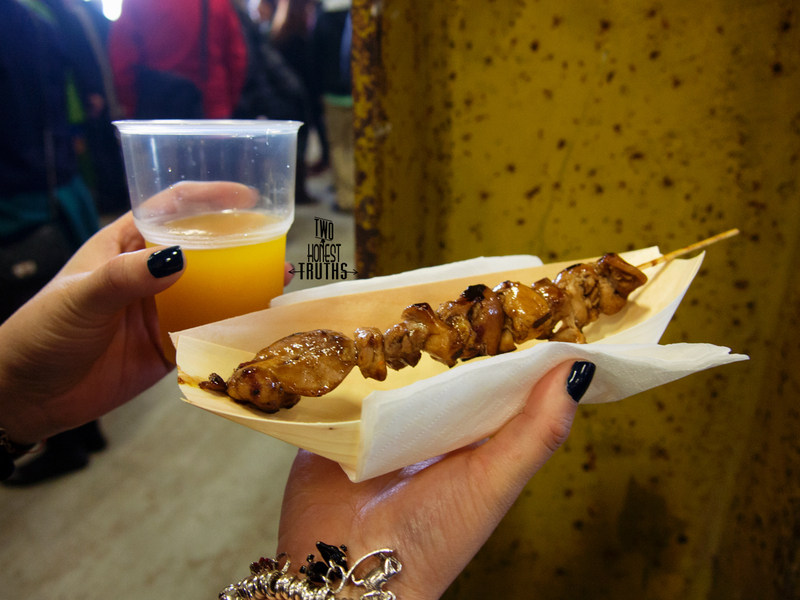 Fourth Stop: Faro chicken skewers and Pumpkin Juice ($5) – in all honesty at first we did not want any pumpkin juice and were really just after the skewers but because they came in a combo we took it anyway. Turns out the pumpkin juice was yum, sweet and refreshing. It was a delight to have with the skewers. It reminded us of bamboo juice. 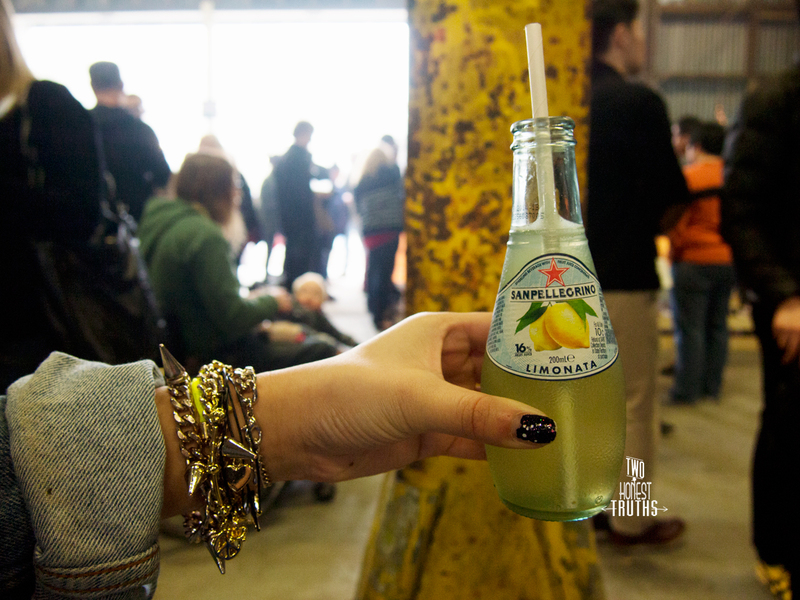 Fifth Stop: San Pellegrino Limonata ($5) – the finest. 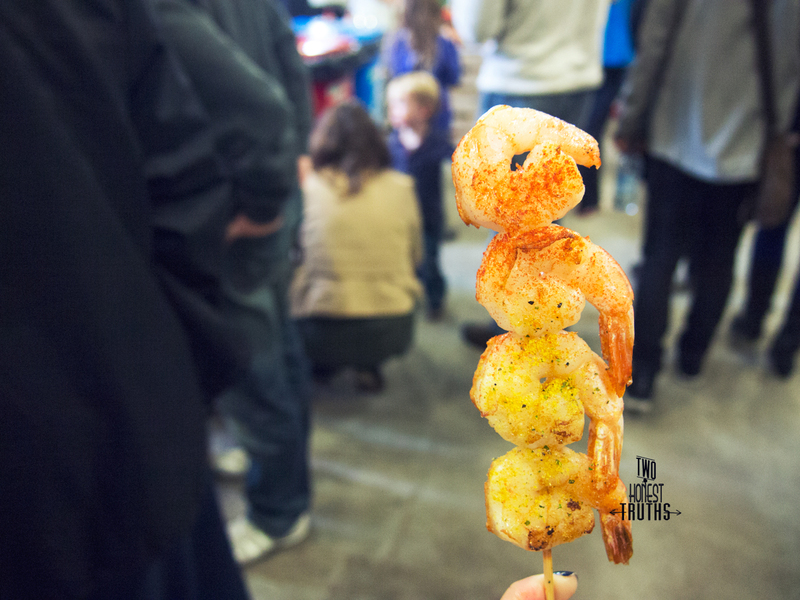 Sixth Stop: FISH Prawn Skewers ($5) – nothing special, just prawns grilled on a stick but it was nice to have some seafood after all the meat. We asked for half half in terms of spice and no spice. The bottom two, with lemon pepper, we enjoyed more. Seventh Stop (my goodness, it’s like we were starving): Toto Boscaiola Pizza ($5) – There was probably a bit too much truffle oil on the pizza than what we would have preferred but all in all it had enough ingredients piled on, enough cheese and a crispy edge. 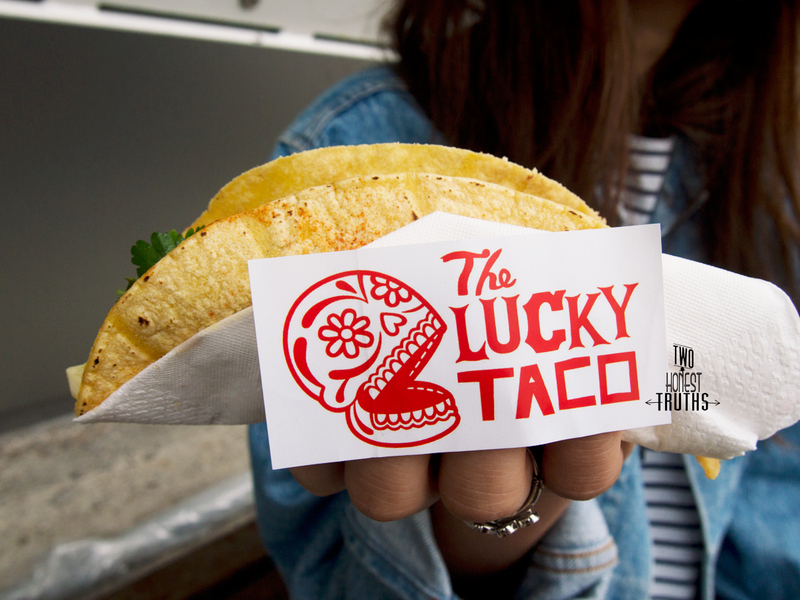 Eighth Stop: The Lucky Taco x2 ($12) – this was the longest line we had to wait in for food in the entire shed, and that tells you something. 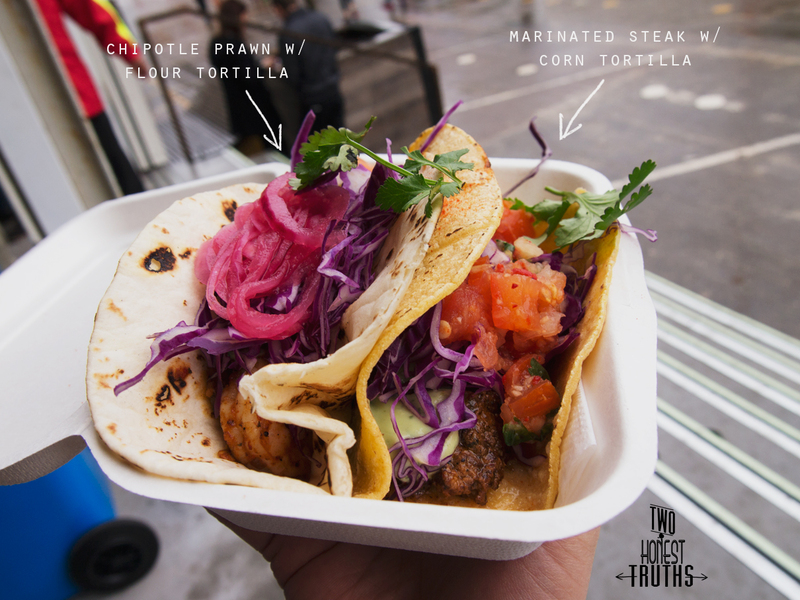 These are brilliant, brilliant tacos. They’re incredibly good, with ingredients that are paired so well. If you were following our Instagram (@twohonesttruths) you would know that we just managed to make the last order before they stopped orders for 15mins due to a large backlog. Noone moved from their position in line and it just got bigger. We were very lucky indeed. 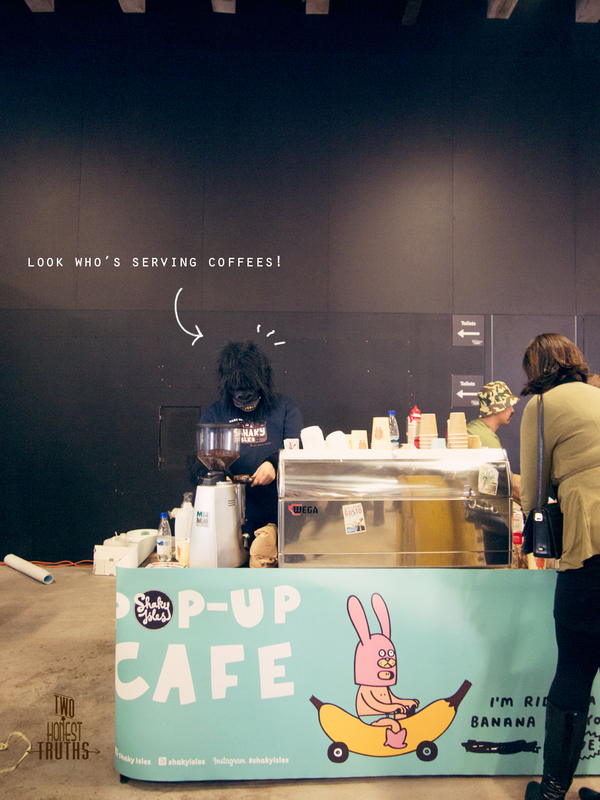 This was our other favourite of the day. So we ended and began on extremely good notes. 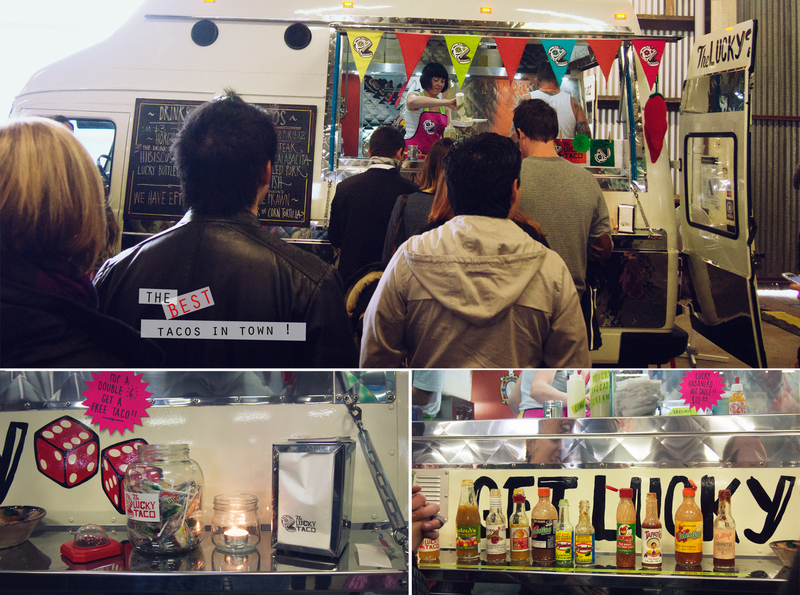 Street Eats was so popular most stalls sold out around the 5pm mark, some even at 2pm! There is bound to be more in the future so if you missed out on this round, there’s always the next. 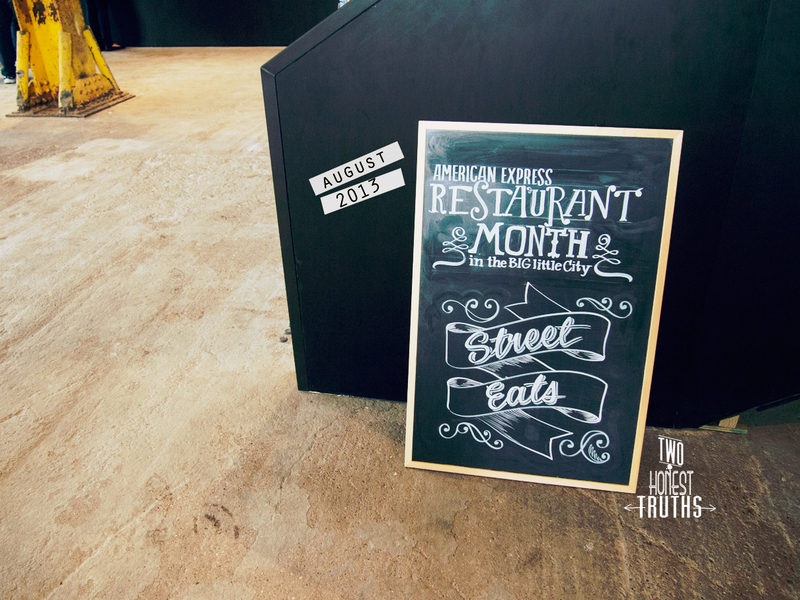 Check out more Restaurant Month events here. Remember to follow our Restaurant Month adventures by clicking the +Follow button on the right hand bottom corner to subscribe by email or WordPress. 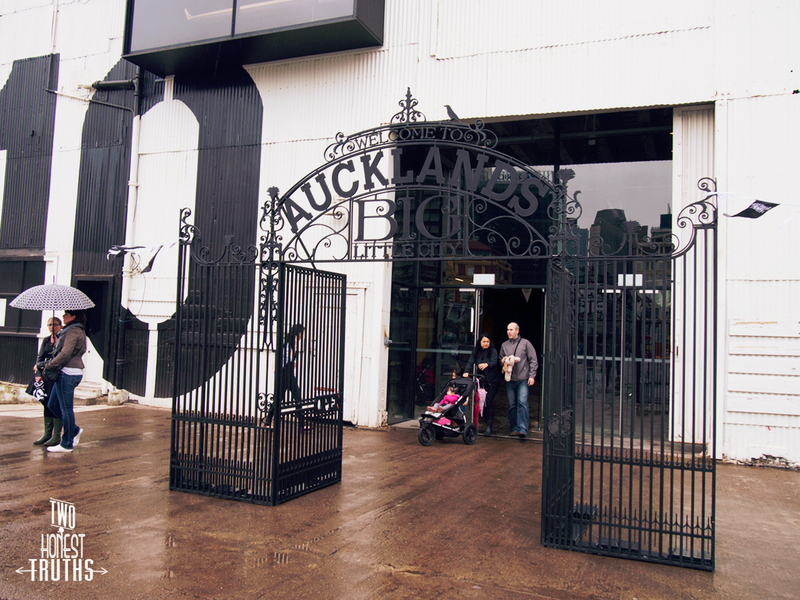 We thought about going, but the rain did stop us! Looks like the food was great! It was a shame since we had an entire week of beautiful weather prior but yes the food was good! Great atmosphere also. Great review! You guys tried a great range of foods. I didn’t see the pumpkin juice. Sounds very interesting. I used to hate pumpkin but am in the process of converting to the other side. Haha I was slightly shocked at how much we ate while I was going through and numbering it. 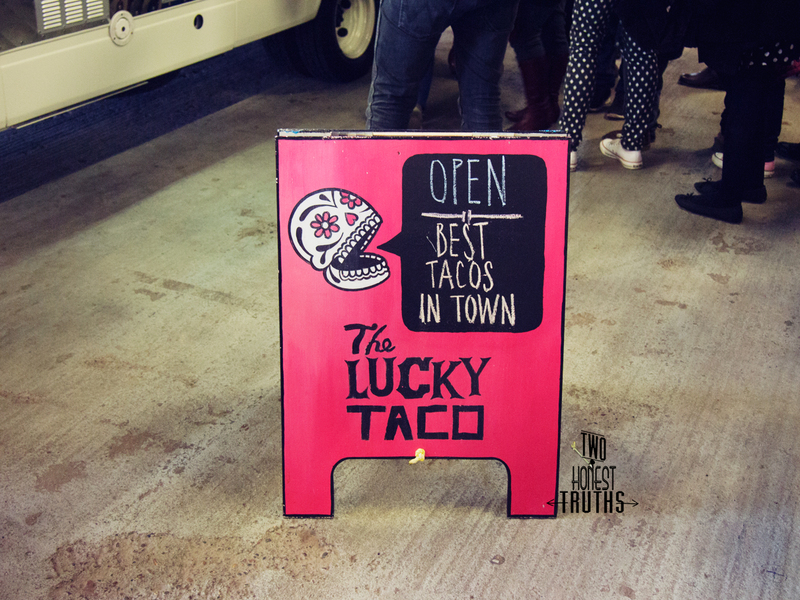 By the time we got to The Lucky Taco we were quite full already, didn’t get a chance to try any drinks from there! I’m so sad I didn’t get to go! Wanted to go but had a big night the night before, and when I woke up really really tired it was just raining… so went back to sleep haha. haha we ate on your behalf! I’m sure there will be lots more others to come, no sweat!